Developed by Failbetter Games and originally released on Steam in 2015, Sunless Sea is making its way to the PlayStation 4 sometime in 2018. This marks Failbetter’s first console launch ever. 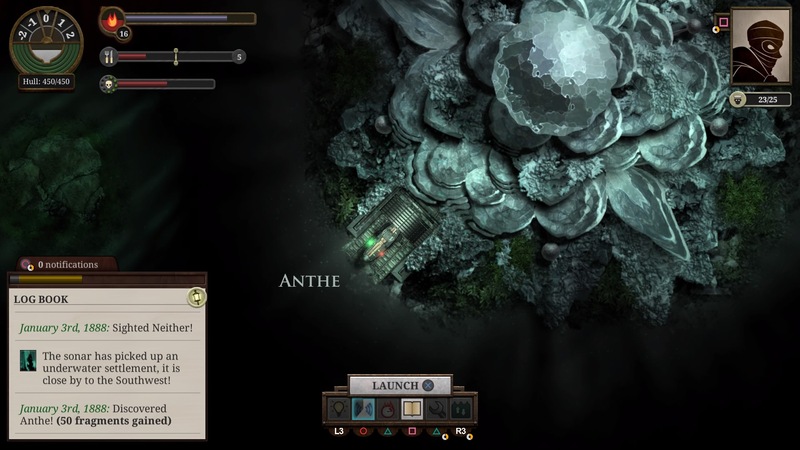 Described as a literary RPG, Sunless Sea is a game known for “discovery, loneliness, and frequent death” as players traverse a “Victorian-gothic Fallen London universe.” The setting itself has an ominous beauty to it, which players experience from a top-down perspective. Sunless Sea invites you to take the helm of a steam ship and explore a subterranean sea full of sinister, story-filled islands. If the pirates, sentient icebergs and swarms of bats don’t get you, madness and cannibalism certainly will. Smuggle sunlight, barter your soul, become a spy. Seek immortality or provoke a revolution of tigers. Perhaps you’ll even achieve your life’s ambition, if you don’t lose your mind and eat your crew first. Rest assured that this should be a quality port, as Failbetter Games is actually partnering with BlitWorks, a company known for mobile versions of Invisible Inc., Don’t Starve, Broken Age and Bastion, among others. Additionally, Sunless Sea was among the nominees for the best emotional artistic game in 2016 and for best writing in 2017, so this is definitely a game to keep an eye on. Will you be diving into this bizarre exploration when it comes to PS4 later this year?